Our vessel, PB Matua was en route to Singapore when the air con circulating pump failed. At very short notice Justin at Vanuatu Yacht Services sourced the required spare parts for the pump and also assisted with customs and immigration requirements for the vessel thus allowing the vessel to proceed on its voyage with minimal delay. When you use Yacht Services Vanuatu not only do you get the dedicated & professional services of Vanuatu’s best superyacht agent, you also have access to a full compliment of goods and services provided by our own established businesses. 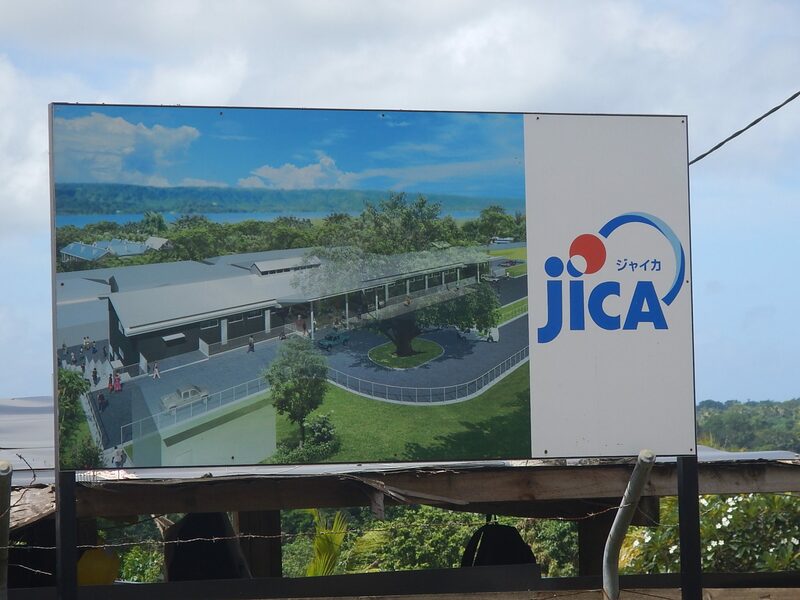 These businesses are the only fully insured and licensed marine businesses in Vanuatu. Our crew are internationally qualified (UK and NZ) and are highly experienced in working on board Superyachts. We provide the most comprehensive and best marine services in Vanuatu. What we don’t have we can get in for you very quickly for the very best price. No agency fees or commissions will be applied to any of the services that these sister companies offer when you contact us directly. If you are in Port Vila on a yacht (whether you have an agent already or not) please come visit us we would love to meet you. 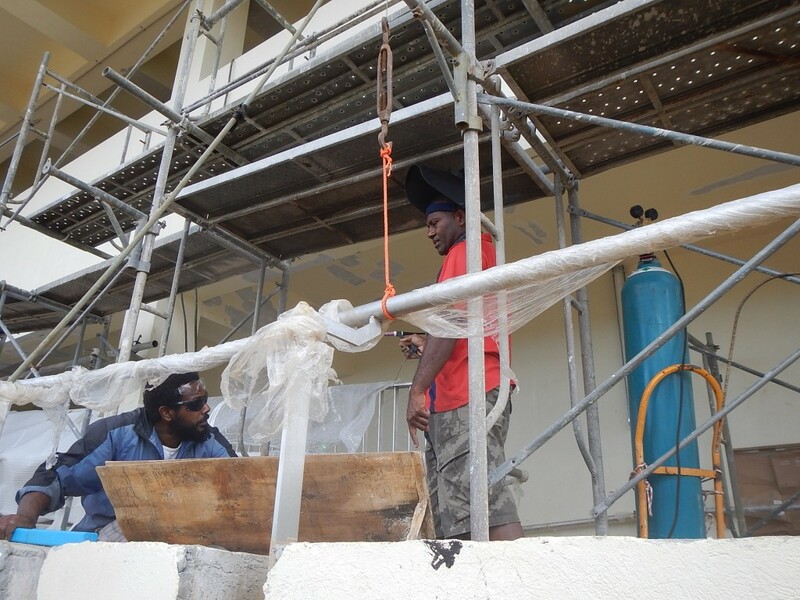 Port Vila Boatyard Crew Welding the Stainless Handrail at the New Vila Central Hospital Project. Vanuatu Yacht Services is very grateful to have the full support of Promedical, Vanuatu’s only emergency response service. Promedical gives us peace of mind. We know that no matter where we are in the archipelago, Promedical is available to arrange medical retrieval and provide life saving paramedical help. 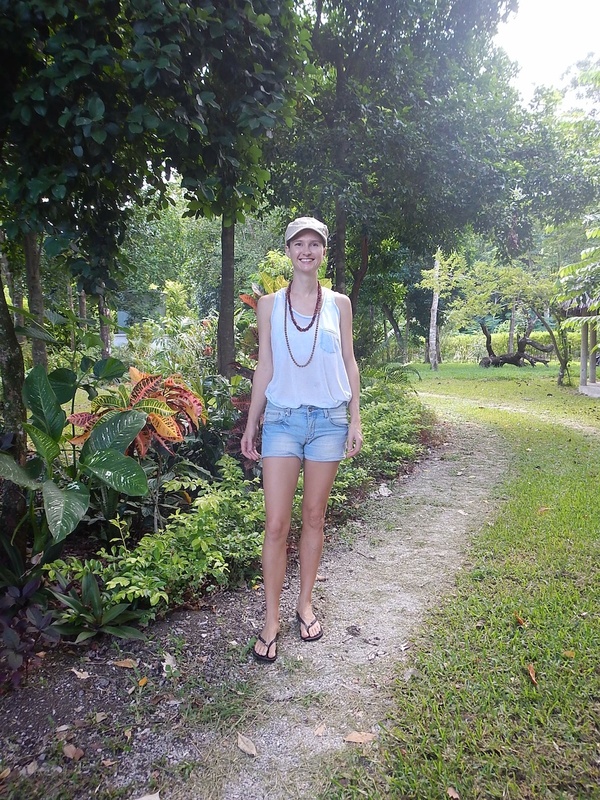 Visitors to Vanuatu enjoy the full benefits of Promedical. 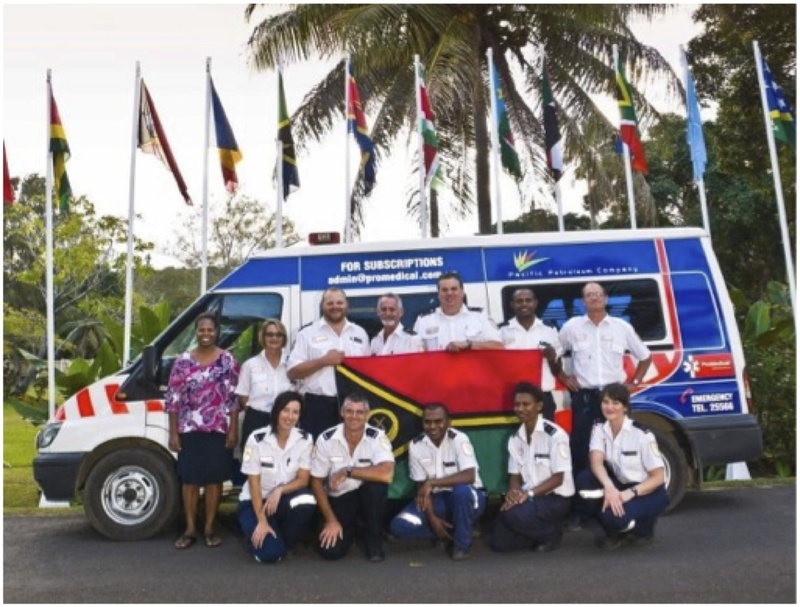 Now that Vanuatu has a successful and reliable medical retrieval and response service, many visitors can now enjoy carefree cruising of our beautiful archipelago. VYS is pleased to be able to assure our clients that there is nationwide medical retrieval in Vanuatu. We want this assurance to continue and improve into the future of yachting in Vanuatu. Promedical is constantly in need of financial assistance to continue to operate and expand to cater for the ever increasing calls for help. Promedical can accept donations directly or VYS can supply Promedical wire transfer details. To learn more, please take a moment to read Promedical’s Fundraising Report. The Boatyard Team are keeping themselves busy maintaining the local yachts. These guys are great and all do fantastic work. We are busy campaigning hard for new business to keep all the staff gainfully employed and at the same time supporting Vanuatu’s slow growing marine industry by keeping the boats that we take care of well maintained and running smoothly. Keep up the good work boys and get ready for more…! We say bring on the season and bring in more yachts for us to service.